2018 is just around the corner, and the arrival of a new year compels reflection of the last. This year’s books offered even more discovery, magic, and adventures than the year before. 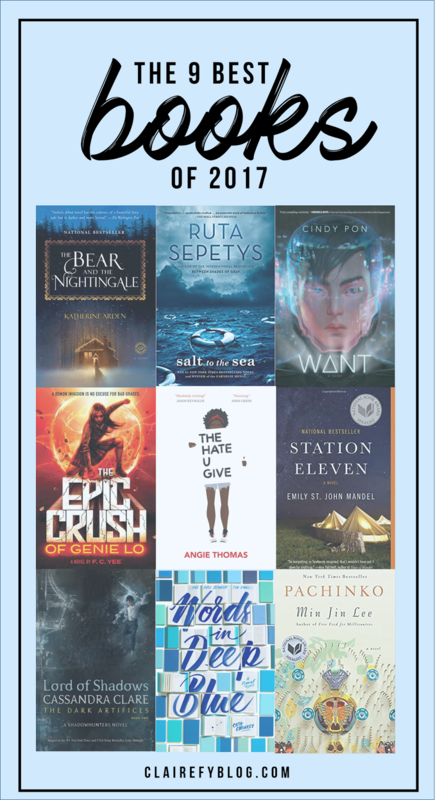 But don’t just take it from me—here are the best books of 2017, featuring a guest panel of bloggers and creators with a passion for reading. 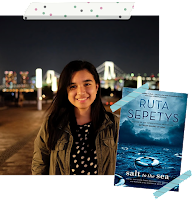 My top read this year is Salt to the Sea by Ruta Sepetys. 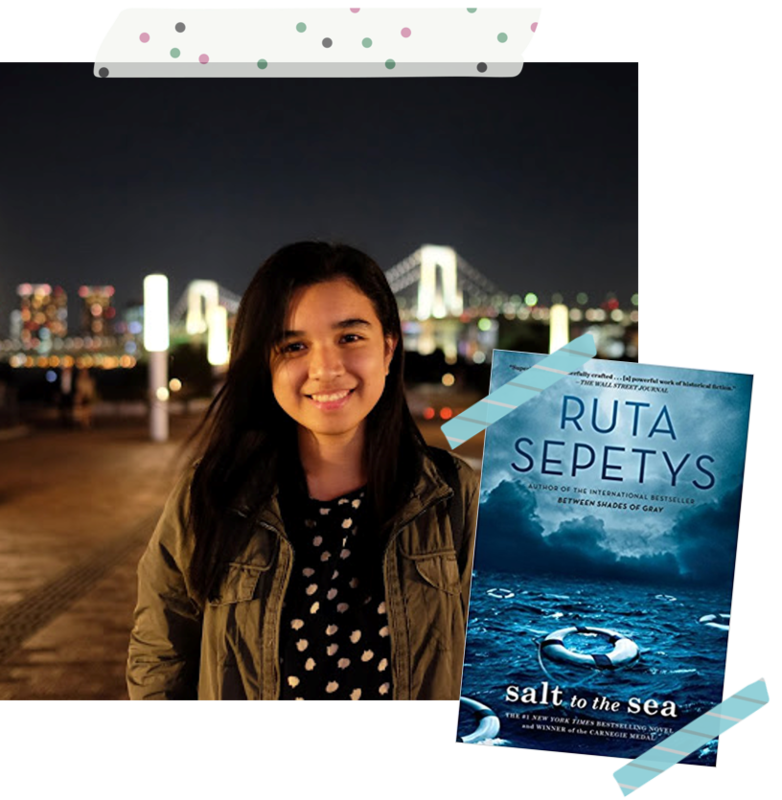 Set against the backdrop of World War II, Sepetys’ book explores the tragedy surrounding the MV Wilhelm Gustloff alongside four protagonists struggling for survival amidst the war. This has touched my heart deeply in that it features humanity at stake and how hope still thrives in situations of complete despair. Joana, Alfred, Florian, Emilia took me to a heartbreaking yet eye-opening adventure, and I couldn’t love this book even more than I already do. Hi everyone! 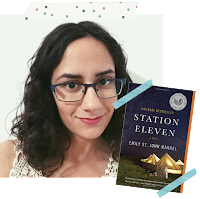 I’m Emily from the blog Paperback Princess, and my pick for the top book I read in 2017 is Station Eleven by Emily St. John Mandel. This book was unlike anything I have ever read before. It is essentially a science-fiction/dystopia novel, but the book is so relatable and the atmosphere that Mandel creates is out of this world. She is an example of a truly talented writer. This book is about a series of journeys. An epidemic overtakes the world, and three characters will fight to stay alive and battle inner demons at various time jumps during the epidemic. I read this book when I was going through my own journey of transitioning from high school to university, and the philosophy that this book carried will stay with me for the rest of my life. It shares themes of love, loss, mental illness, and the struggle it takes to carry on. This was by far my favourite book I read in 2017. 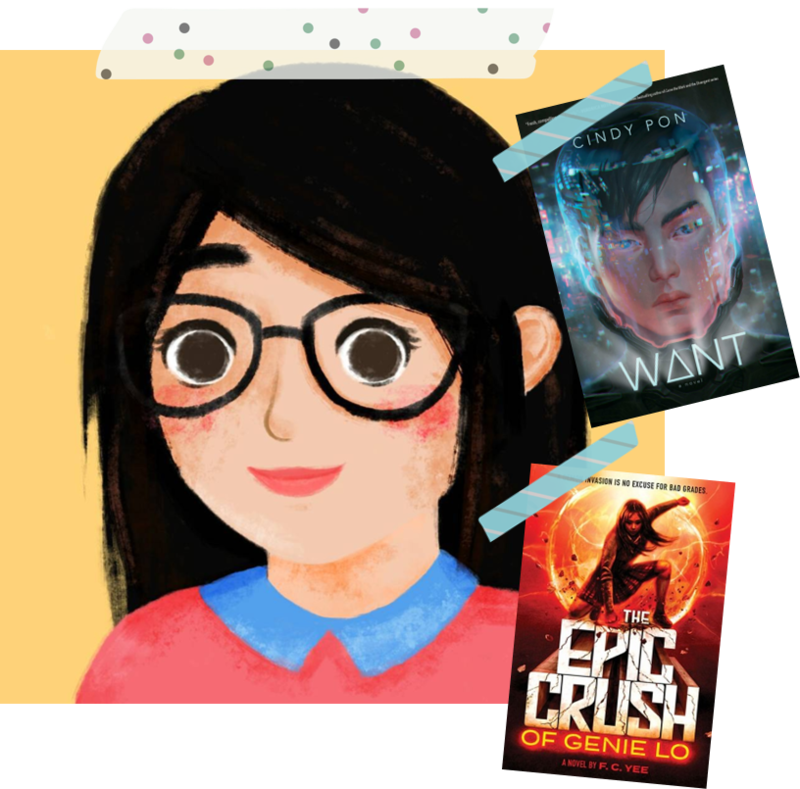 The Epic Crush of Genie Lo by F.C. Yee Genie Lo as my favourite should come as no surprise! This book is action-packed, warm and funny, and with a relatable heroine and hero duo that I adore. I grew up with books and stories on Chinese mythology, but never really remembered much about it -- but after reading The Epic Crush of Genie Lo for the first time, I felt like it rekindled that little corner of my childhood and gave it new meaning. The Epic Crush of Genie Lo is the book I had always been waiting for. Want by Cindy Pon was the book I never knew I needed. It is the perfect blend of sci-fi, Asian influences, and sociopolitical discourse that is articulated eloquently and without being preachy. The characters are memorable, and Pon's vision of the future Taipei is both stunning and terrifying. A cautionary tale that is compelling, exciting, and so important in today's political and environmental climate. Words matter. The best of them have the power to make us feel and think. 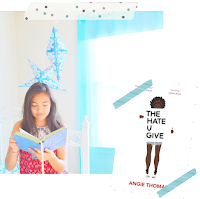 With powerful prose that tackles issues pertinent in the United States today, Angie Thomas’s The Hate U Give challenges readers to question their own prejudice and act, standing out as my favorite YA book of the year. 16-year-old high school student Starr seizes the courage to speak out when a police officer unjustly shoots her childhood friend, Khalid, and she struggles to balance life at a mostly white private school and at home. Experiencing such injustice through Starr’s eyes forces us to consider the challenges she faces. Memorable friendships, especially between Starr and Maya, reinforce the importance of remaining open-minded and considering others’ experiences to combat racism and simply provide a strong friendship I loved rooting for. When a character poses ignorant comments about Maya’s Chinese heritage—comments familiar to me—Starr advocates for and consoles her friend. As I think about the role of Asian-Americans in current events and reflect on my own perspective and influences, I was glad to see representation and encouragement of bonds to further understanding: we must stand together. 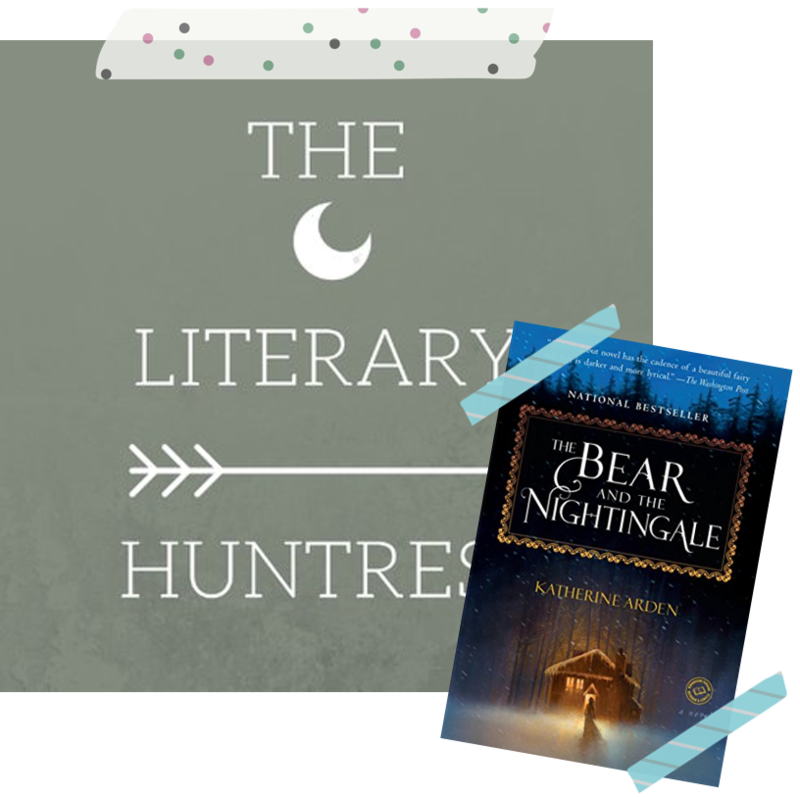 My favorite book of the year is undoubtedly The Bear and the Nightingale by Katherine Arden. It is a retelling about several Russian fairytales set in the winter of deep Russian wilderness. The story is captivating, the writing flows seamlessly, and the setting is very vivid and rich. The main characters, Vasya, is very strong in her belief and ability, she believes in her right or wrong and holds on to that, even when things get difficult. I truly can't wait to know the continuation of Vasya's story! And of course, I can't miss talking about Morozko, but he is something you have to read and discover by yourself :D If you are looking for retellings that has winter vibes and dark quality to it, I highly recommend this book! Is it even surprising that Lord of Shadows became my number one book this year? 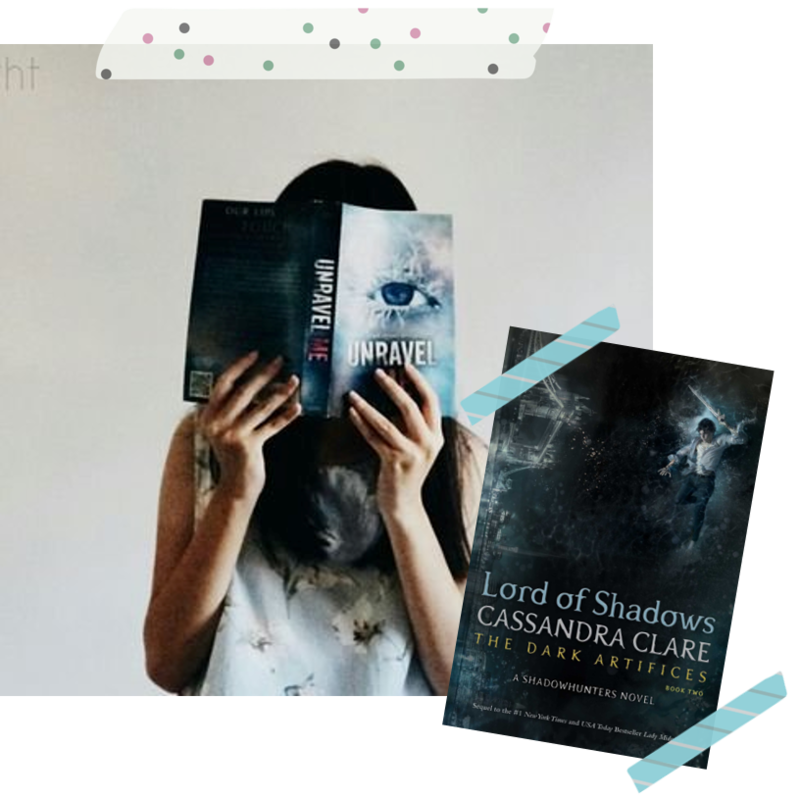 I've been in love with the Shadowhunter world since I read The Infernal Devices series, and while usually the second book is my least favorite book in a trilogy, it's not the case for Lord of Shadows. It has everything you want in a sequel--more character development, more world-building, and more plot development. 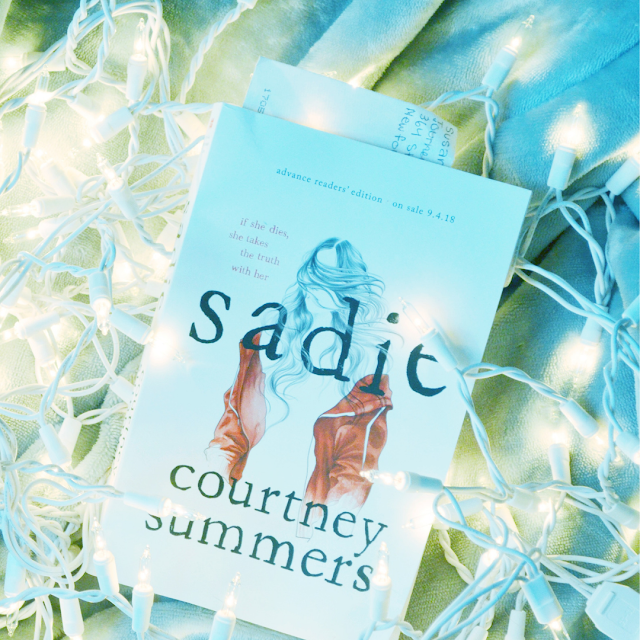 Cassie Clare knows how to deliver a great sequel, and how to wrap it up in the best (and yet most painful) way. One of my favorite books of 2017 was Words in Deep Blue by Cath Crowley. 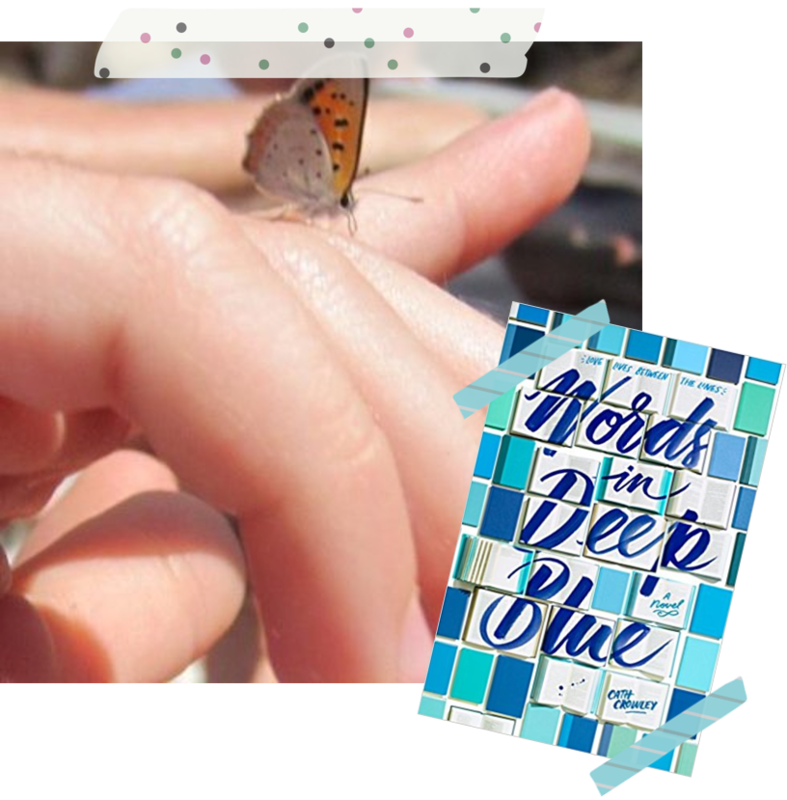 Words in Deep Blue is a deeply moving story about a teenage girl trying to finding closure after experiencing a staggering loss. The writing is exquisite, the characters are extremely realistic, and the story is memorable and emotional. The protagonist Rachel is a well-written character who is easy to relate to and sympathize for. She's intelligent and organized. She’s certainly not perfect, though, but it’s her flaws that make her feel so realistic and relatable. The best part of this book, though, is the large emphasis it places on books and the power of words. Rachel's family owns a bookstore, and so a large part of the book is set in a bookstore. That component of the story is sure to delight anyone who - like myself - shares Rachel’s passion and love for books. 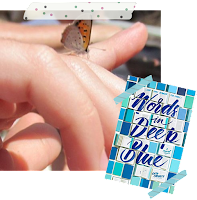 Words in Deep Blue is sure to appeal to fans of contemporary stories, who will surely enjoy it for its emotional message. 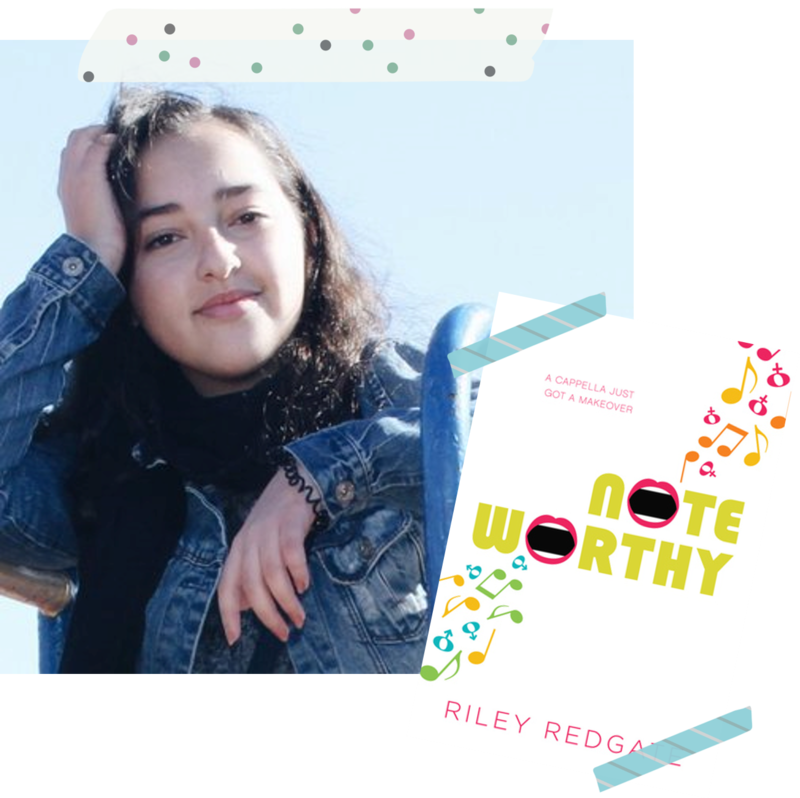 In 2017 I have read a lot of great books, but one that I really loved was Noteworthy by Riley Redgate, in which Jordan Sun disguises herself as a boy and infiltrates an all-male acapella group in order to stay in her school. Not only it was funny and attention-grabbing, it discussed important issues, such as sexuality and male-supremacy. This novel also guarantees diverse characters, a swoony romance, and beautiful friendships. I highly recommend it. Pachinko is easily one of the best books I’ve ever read, and I am not alone in this statement. It was chosen as one the New York Times Book Review’s Top 10 Books of 2017, a title that is as distinguished as they come. Pachinko was a book that was completely out of my comfort zone, it being historical fiction and all. I recommend this to everybody, whether you like historical fiction or not because I promise you will be blown away. 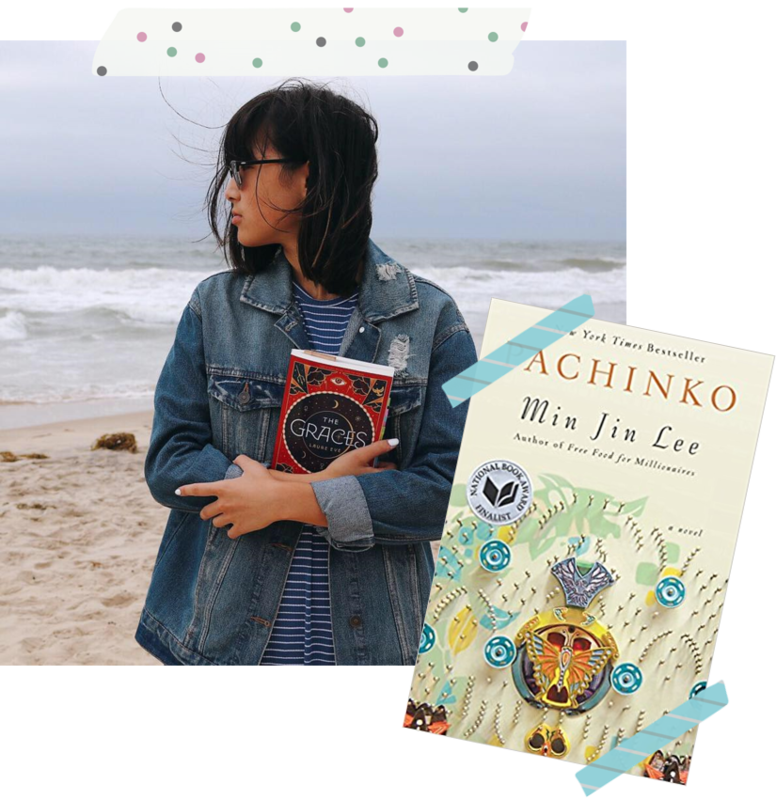 Pachinko follows four generations of a Korean family living in Japan, beginning with Sunja, the daughter of a poor fisherman and his wife. It is an exceptional story of love, loss, friendship and identity in a time of war. The story followed such three-dimensional characters that it almost felt like I was reading an autobiography. Lee’s writing is rich with emotions. You feel sympathy for the characters and the constant discrimination they face, but you also feel elation when the characters achieve something great and excitement when you meet a new character. The book made me cry, laugh and smile all at the same time. 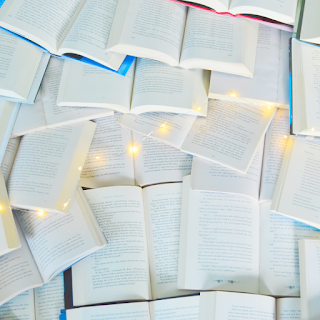 The best books should always make you feel something. Pachinko made me feel like the world was in need in of change. Before reading the book I was ignorant about the struggles that these Koreans faced in Japan. Likewise, I was ignorant about the hardships that immigrants faced. The book revealed the effects of gender inequality on a global level, when I thought it had only existed in America for the longest time. Most importantly, Pachinko for me broke a barrier in Asian representation in the media. I have a huge appreciation for diversity in literature, and to see characters that were a reflection of myself in the pages of this book was an indescribable feeling. This is something that I think everyone can take out of reading Pachinko, whether it’s learning something new or reinforcing an idea. 2017 certainly hosted some of the best reads yet. I'll be adding many of these books to my to-read list! I hope you all have a wonderful new year. Here's to the stories to be shared in 2018! Thanks again for including me in this post, Claire! There are so many great reads here and I can’t wait to check out some new favourites! No problem, Emily, thank you for contributing! I'm glad you found some reads you're interested in! Thanks Veronika! 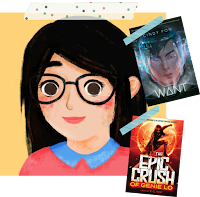 I haven't read The Epic Crush of Genie Lo, yet, myself so I look forward to reading it soon! So many of these are on my TBR list. I’m especially excited for Salt to the Sea. I actually own that one, so I really should read it. Yay, I hope you enjoy Salt to the Sea, Aj! I'm looking forward to picking it up soon myself. What a fun post with everyone! I really enjoyed THUG and Noteworthy this year and Salt to Sea and Station Eleven in previous years. I want to read Words in Deep Blue and The Bear and the Nightingale and I own them so it should happen. I hope you enjoy Words in Deep Blue and The Bear and the Nightingale, Grace! I need to read Noteworthy when I can! Great list! I loved SALT TO THE SEA and STATION ELEVEN. I haven't read any of the others, but most of them are on my TBR mountain chain somewhere. I've seen THE HATE U GIVE on all kinds of best of lists -- I might need to start 2018 off by reading it! Thank you Susan! I hope you enjoy The Hate U Give! I'm hearing so many good things about Salt to the Sea, I need to get to reading it! I hope it satisfies your expectations Cait! I actually haven't started The Dark Artifices series yet, so I may have to this summer! I don't know about favourite, but THUG is def. *the* book of the year! I'm glad you liked it, Cee! There are so many awesome bloggers and books on here! I have to agree Tiffany about Lord of Shadows, it really is everything you could want in a sequel and I cannot wait for the next book. I don’t remember the last time I enjoyed a Cassandra Clare book so much. And The Bear and the Nightingale is probably the book I am most excited to read in 2018, because I just know that I’ll love it. And The Hate U Give is one I really need to read. I mean, I’ve heard such great things and it contains such an important message. I’m so happy you enjoyed it, Claire, and I’m happy to see that you’re back blogging! Happy New Year! A belated happy new year to you too, Erin! I haven't been keeping up with Cassandra Clare's new books, but it seems like a lot of people have been enjoying them! I hope to read The Bear and the Nightingale sometime this year, too. For sure, Anna! A belated happy new year! This post is so awesome! I haven't read in so long and have been looking for awesome recs. 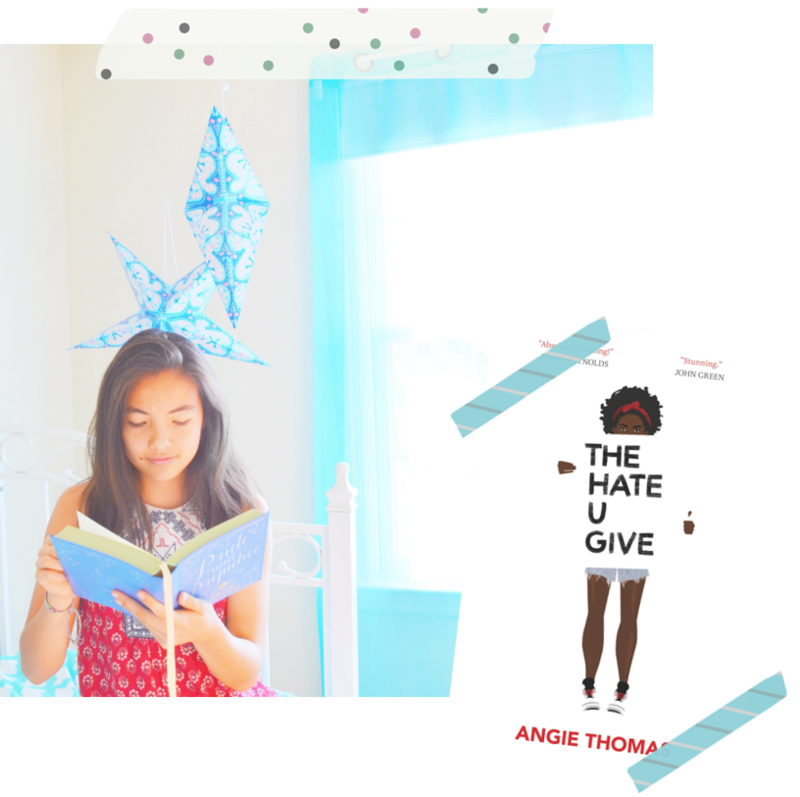 <3 I haven't read any of these (I know--shame on me), and am especially disappointed in myself for not having read The Hate U Give yet! I've heard nothing but AMAZING things about this. I love how you said that the best books make us think. Definitely pushing this one up a bit on my TBR! This was a fun way to share your favorite books (and your friends' too)!! Definitely, Nicole! I had a lot of fun making this post. Thanks for stopping by!